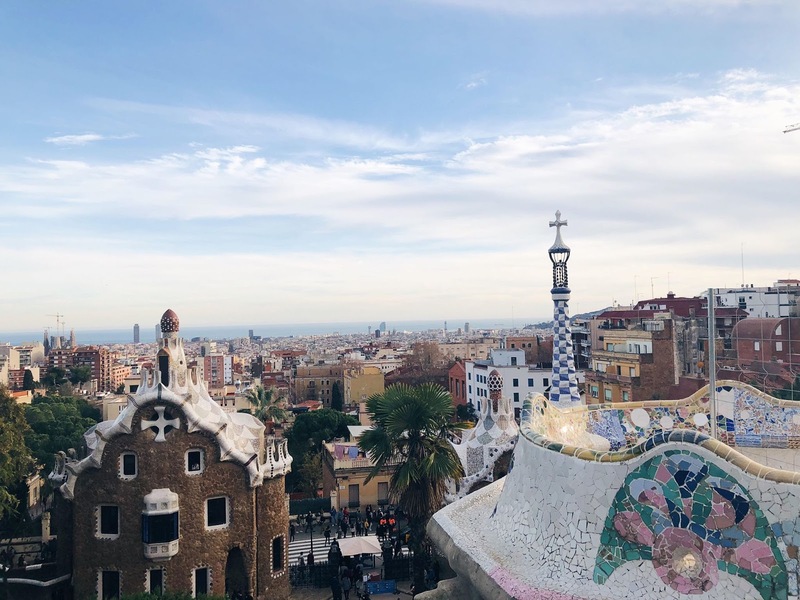 CITY GUIDE | HOW TO SPEND 3 DAYS IN BARCELONA, SPAIN. So this year I brought in 2018 standing in the port of Barcelona shoving 12 grapes in my mouth as the clock struck 12. This is hopefully the first of many as my goal is to try and spend NYE in a different city every year, as long as my wallet permits. I spent 4 days in Barcelona and only used public transportation once (from the airport) so let's just say our legs got a good workout. Here is my itinerary on things to do in Barcelona, where to stay and most importantly, where to find the best tapas in Barcelona! So I'm going to be completely honest with you guys and say we encountered a few problems when staying at our 'hotel' Turismo Urbano. We got locked out twice as the door was old and the lock had moved so we had to knock on the landlords door at 4am, which she wasn't very pleased about but it was either that or sleeping on the streets. The electricity cut off one night so had to leave the apartment with 10% battery the next morning, and then cut off another two times whilst we were getting ready for NYE. To top it all off, the toilet stopped flushing. The reviews weren't bad so these things can just be bad luck, as the location was pretty decent but then again it wasn't the cheapest. Accomodation in Barcelona can be expensive so it's best to book far in advance, and apartments and airbnb's usually end up being your best bet. If you're looking to splurge, the W Barcelona is located along the beach front and imitates the Dubai D thing. We went here for cocktails and the views are amazing. Living next to Spain (Gibraltar) means we have a lot of Spanish culture mixed in to our cuisine, so I tend to eat tapas on the regular. However, I did discover some new tapas and variations of 'patatas bravas' whilst in Barcelona. Most interestingly a 'bomba/bomb' which is a potato and meat filled ball (basically looks like a scotch egg) on a base of alioli. I was recommended a place called Ciudad Condal for tapas that were a bit more on the 'posh' side but still affordable, I'd recommend getting here early as people queue for up to 45 minutes for a table. If you need a cute spot to rest your legs in the afternoon then Rosie's Good Things is just the place. Not only is the place perfect for your Instagram feed, but they offer a range of cakes, sandwiches and brunch options. The staff is friendly, so friendly that the waiter gave us a brownie on the house because we couldn't decide between that or the cheesecake. We stumbled upon Salamanca whilst at the port because I was bursting for the toilet, but ended up having our new years dinner here as it seemed pretty popular and affordable. The paella was amazing, I could have probably eaten a whole pan to myself. If you want to be transported somewhere magical to eat and drink, then Bosq De Las Fades is the place to go. It's complete with it's own wax museum if you're looking for something different to do as well. Last on the foodie list, is the best burger place in the whole of Barcelona (or so I assume). 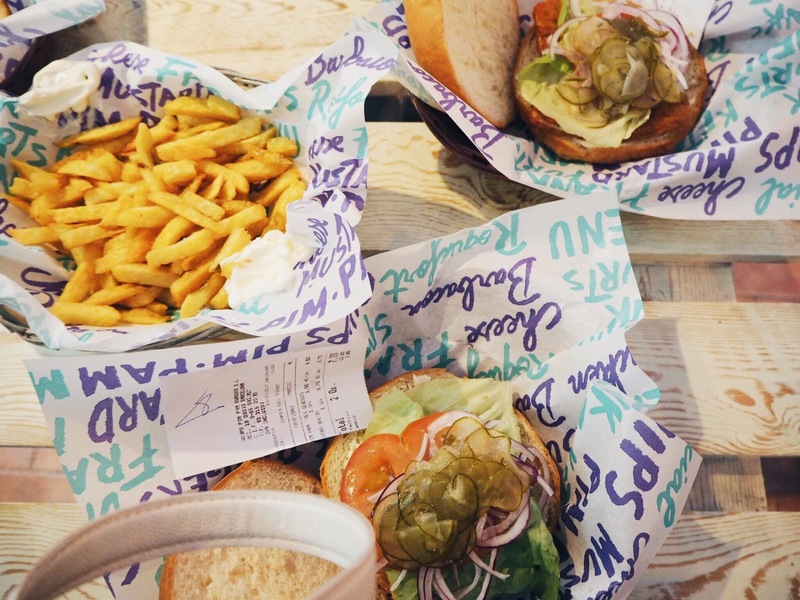 Pim Pom burgers is found in the trendy 'hipster' district of Born, and this place is hidden in one of its lanes. I had a portion of chips and a 3 cheese burger (with bacon) for 8 euros, I was struggling with the second half but it was so good I couldn't bare to leave any behind. If you don't fancy a burger they had a wide range of tapas too, the meatballs in tomato sauce smelt divine. 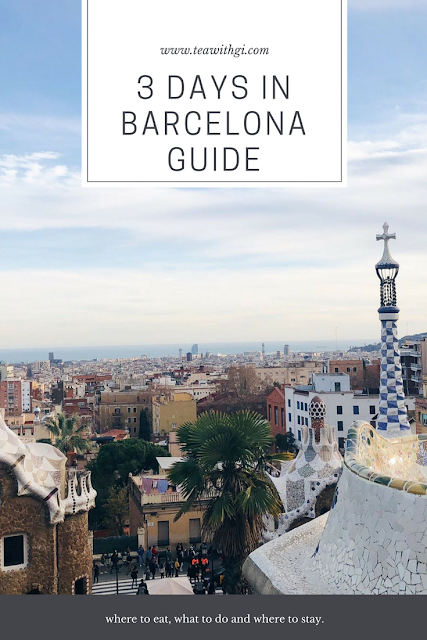 Ok so, Barcelona is huge, so there is probably a lot more to do that what I can include in this guide. 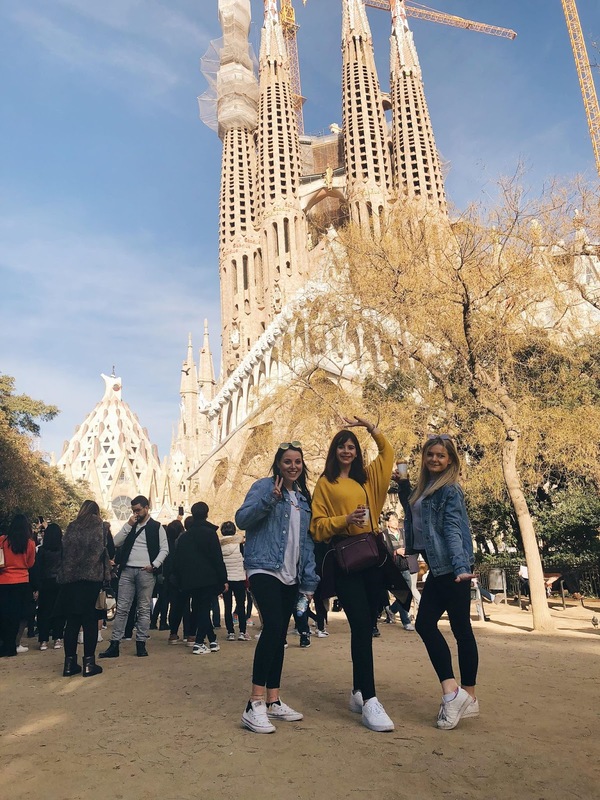 Unlike Copenhagen that can pretty much be seen in 3 days, you can probably discover new things on every trip to Barcelona. If you read my travel guides then you might know I like to start my trip with a 'free' walking tour, so we can get our bearings and a bit of background to the monuments and areas before exploring it ourselves. 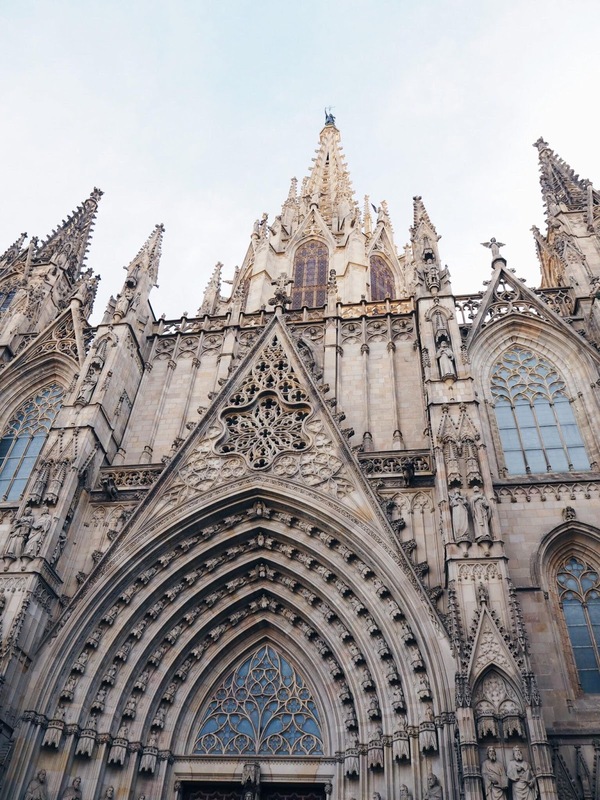 This tour gave us a bit of history on the gothic quarter, Born, Las Ramblas, and of course, the current independence battle Barcelona is facing. I love these because you learn stories from spots that might seem irrelevant otherwise. We then went to the Picasso museum, which for me was 8 euros whereas my student friend got free entrance, cries. A lot of the museums in Barcelona are free on Sunday's after 3pm so it's always good to check before visiting. On a sunny day, there are plenty of parks to visit in Barcelona - Park Guell being the most famous for having Gaudi's sculptures incorporated. For this I highly suggest you get your tickets online as they tend to sell out on the day. Be warned, you'll be walking up hill for about half an hour to get here, so make sure you're not wearing heeled boots or you'll be needing a foot massage at the top. Here you get to see some of the best views of Barcelona and you can bring your own food/drink if you fancy a picnic spot. 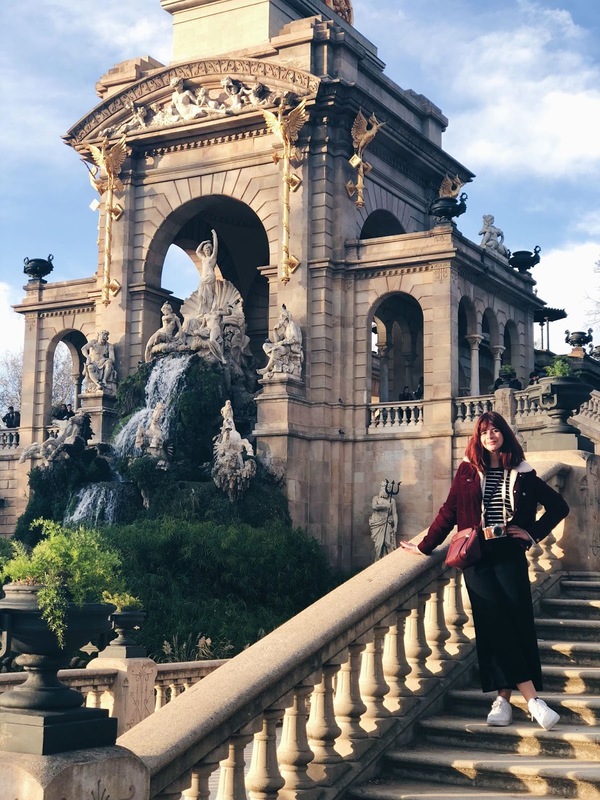 Another great park to visit is Parc de la Ciutadella, where you can also find the mini Arco de Triunfo and Monument Cascada. Fun fact: I stuck my hand in bird poop here before this photo was taken. For when you fancy burning off all those patatas bravas, taking a walk round Barcelona to see Gaudi's works of art is a must. 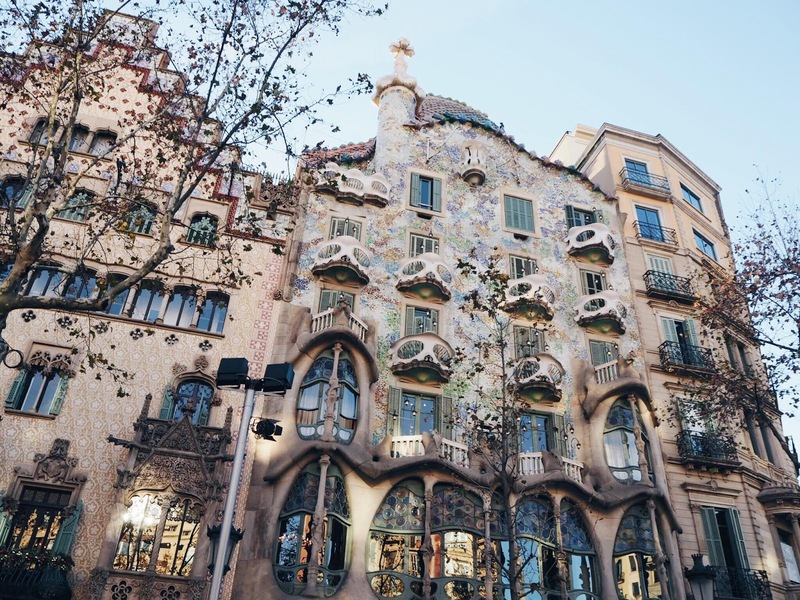 From the famous Sagrada Familia to the nautical/mermaidy Casa Battlo, they are a must see for any fan of art and architecture. In case you're interested, the Sagrada Familia is planned for completion in 2026, 100 years after Gaudi's death. For the best photo op here take it from the children's park! Last but not least, set some time aside to explore the Montjuic mountain/hill. This is where the NYE celebrations took place and as you can imagine, you get some great views of the city. I should probably also mention that if you're a football fan, FC Barcelona's stadium is one of the best in the world, and an interesting fact is that whenever Barcelona play, the crowd gets up at 17 minutes 14 seconds to chant 'independence'. So we learnt the hard way that when in Barcelona it is probably best to not stick to the commercial 'international' clubs. Don't get me wrong Pacha was a blast, but the crowd wasn't the best. We did stumble upon some cool bars when on the pub crawl, such as Milan's which had an extensive cocktail list and some explicit slideshow on the wall which was slightly odd but interesting. I'm a fan of weird drinks and elixirs, so Pipa Club also appealed to me - although I chose wrong and ended up drinking a pint of tequila basically, so sometimes it's best to stick to what you know. Las Ramblas is where you'll find a plethora of bars and clubs that are common in holiday destinations, i.e. '10 euros for 2 shots an entrance to one of the big clubs' So if this is what you're after, then that is the place to be. I also suggest you make the most of drinking on the streets prior to entering a club as shots and drinks will set you back 10-20 euros in the major clubs, I was not ready to pay 9 euros for a shot of fireball, soz. Whilst in Barcelona, you will see a lot of variations of the Catalan flag, in light of the independence debate be respectful when speaking to locals and remember Barcelona is part of Catalunya and prefer to be called Catalan rather than Spanish. Although Spanish is widely spoken, Catalan is seen throughout most signs and restaurants, which you will find is more similar to French than Spanish. 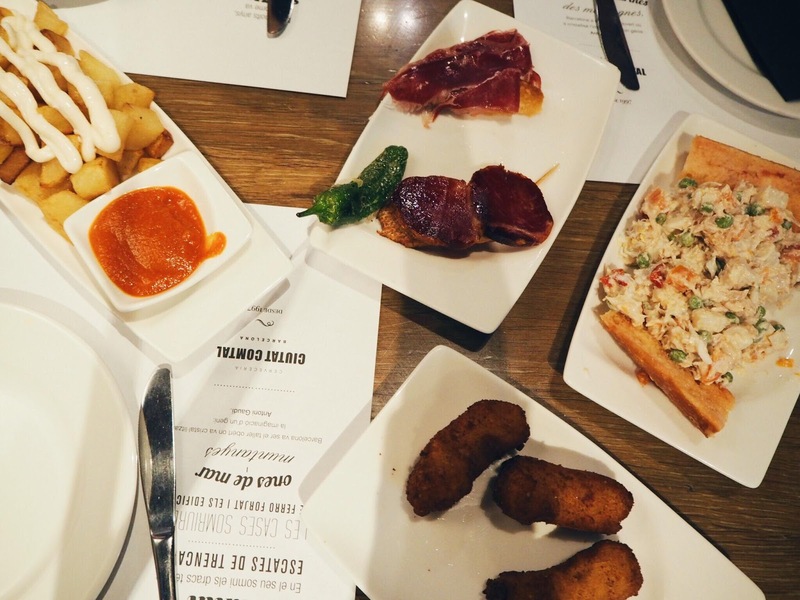 A general rule for finding a good tapas place is avoid restaurants that have pictures of the food & the word 'tapas' in their name, especially in Las Ramblas. Major tips aren't required, people usually just round off the euro when paying. A lot of shops close in the afternoon from 4-6pm whilst they have their 'siesta's' so check opening times before visiting! I loved Barcelona and will definitely be back, maybe in 2026? Have you ever been to Barcelona yourself? What was your favourite part about the city? for more ideas on what to do in Barcelona head to my Spain Pinterest board. Your photos from the city are absolutely stunning, get me on the next flight to Barcelona! All of the architecture is just gorgeous, and I certainly would love to experience the art museums too (especially the Picasso Museum!) I am a huge tapas lover so I certainly wouldn't go hungry, thank you for the advice about avoiding places with pictures on the menu - do you usually find that these are less authentic or poorer quality? Such a shame about the hotel, you obviously did get a bit of bad luck there but I'm glad it did not ruin your whole stay! Oh my goodness, the food here sounds amazing! I love Tapas places, so these bits sounds amazing, especially the bomba/bomb that sounds like something I would love! I vaguely visited Barcelona a few years ago but we didn't get to spend much time there, I would love to visit one day though!